Africa is one of the poorest continents in the world, but the economies of some African countries are thriving. Dominated by trade, industry, and agriculture, the economy of Africa relies on its rich store of natural resources. A 2017 report from the African Development Bank states that Africa is the world’s second-fastest growing economy, and the World Bank forecasts that many African countries will reach "middle income" status by 2025. In this article we’ll examine five countries that are leading the way in bolstering the African economy. The ranking is based on each countries’ Gross Domestic Product per Capita. The GDP per capita is an economic measure of the value of all goods and services produced in a given year, divided by the number of inhabitants. At 18,146 Int$, Botswana’s GDP per capita makes it the fifth richest country in Africa. The government’s solid fiscal policy and an accelerated economic growth rate has allowed Botswana to achieve upper middle-income status, a remarkable feat among African nations. Botswana’s main export is diamonds, and the country is second only to Russia in diamond production. An innovative and competitive banking system allows Botswana’s financial sector to offer extensive access to credit for entrepreneurs. Ongoing prosperity has enabled Botswana to actively pursue industrial development and improve its infrastructure. Africa’s fourth largest GDP per capita, 19,266 Int$, belongs to the oil-rich nation of Gabon. Accounting for 43% of their GDP, Gabonese oil production is in decline, down considerable from its 1997 peak of 370,000 barrels per day. Oil reserves are projected to be depleted by 2025. Despite its high GDP per capita, an inequitable income distribution keeps the Gabonese standard of living low. 20% of the population earns over 90% of the income and approximately one third of the population lives below the poverty line. 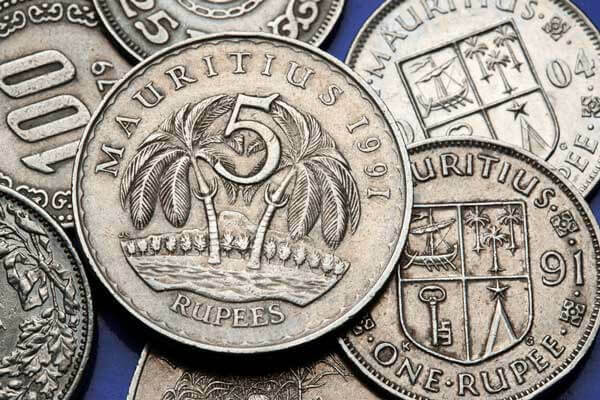 One of most successful countries on the continent, Mauritius boasts the third largest GDP per capita at 21,628 Int$. Mauritius’s economy has been on a run since the country’s independence from Britain in 1968. Called "the Mauritian Miracle," this country’s economic history is the story of Mauritius’s rise from a poor agrarian nation to a thriving middle-income economy based on a wide variety of sectors. Already strong in tourism, textiles, sugar, and financial services, recent years have seen Mauritius enter new sectors like information and communication technology, healthcare, and renewable energy. This penetration into new sectors has brought in significant investment from local and foreign investors. Ranking second with a GDP per capita of 28,712 Int$, Seychelles has come a long way since its plantation era. These days, over 30% of the labor force is participating in the growing tourism sector, while agricultural employment comprises only around 3% of the labor force. Nevertheless, agriculture still plays a significant part of the Seychelles economy. The primary exports are fish, copra, vanilla, and cinnamon, while sweet potatoes and coconuts provide supplemental economic support. Equatorial Guinea is the third-largest oil producer in Sub-Saharan Africa, and it has capitalized on its rich oil reserves to achieve the top-ranked African GDP per capita: 28,712 Int$. 1996 saw the discovery of Equatorial Guinea’s massive oil reserves, and revenue from their extraction has been filling government coffers ever since. If Equatorial Guinea will continue to flourish, oil will mostly be the reason. Fishing, forestry, and farming contribute to the nation’s production, but Equatorial Guinea’s rural economy has been severely damaged by a series of brutal regimes, and the chance for agriculture-led growth is unlikely. What countries in Africa have the highest GDPs?